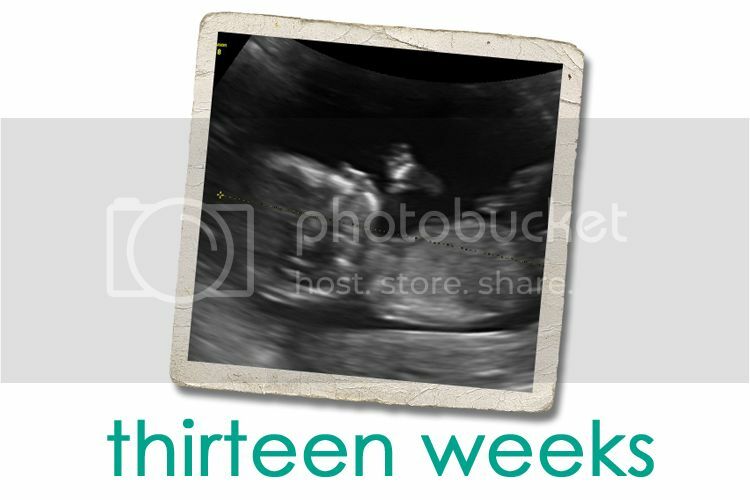 Jordy Liz Blogs: Thirteen weeks. Aside from being a bit lightheaded and dizzy, I am feeling really good this week. It helps that the secret is out there and others know and can share in our joy. It also helps that I am not craving carbs every thirty seconds to keep the nausea at bay. I feel back to my normal self, just with a baby in tow. Speaking of a baby in tow, you've given me a bump that seemed to come out of nowhere last week. My jeans are about to be put away for the year. I went in for a routine appointment on Tuesday and she unexpectedly pulled out a heartbeat ultrasound machine. She rubbed it along my middle and I heard a quick heartbeat confirming you were still in there and doing well. "152," she said. "Sounds perfect." It is the most affirming and comforting sound to hear. And then this morning we got to see you again on the big screen. You were moving around, your head and arms turning every which way. It made me laugh as you are becoming bigger and bigger. We saw fingers and a nose and the umbilical cord all where they should be. I know you are tucked safely inside, but not being able to see you often or feel you yet makes my mothering heart worry just a tad. Seeing you was the reassurance I needed after a busy and tiring last two weeks. I've already found myself feeling extremely responsible for you and protective over you. I know this will only multiply as you eventually join us in this world. We are so looking forward to that day.